You see it all the time: Entrepreneurs often think of themselves as the most important person within their organization. While you, as an entrepreneur, might have thought up the genius business plan and brought the organization together, the truth is you don’t do much to make your business successful — but your employees do. Without the workers under your supervision, your business wouldn’t ever leave your garage. Unfortunately, if you operate under the assumption that you are the MVP of your company, you might not be treating your employees how they deserve to be treated. Here are a few signs your workforce is undervalued and what you can do to fix it. Sure, your business has grown pretty big over the past few years, but as long as your company has fewer than about 150 employees, there is no reason for you not to know at least the name of every single worker. Even if you don’t work with every employee every day — or ever — hearing their name come out of your mouth in the elevator or hallway is a big boost for most low-level workers. On the flipside, a puzzled expression and a description, like “that short, red-haired receptionist,” is a major bummer. As soon as you have a new hire, introduce yourself and try to memorize their name, just for the sake of decency. It’s easy to look outside your organization and see so much talent and experience, but the truth is that those strangers don’t know your business like your employees do. It’s much less expensive and much more productive to promote from within — mainly because your workers will worship you for it. There is nothing that builds a strong workforce quite like the promises of job security and career development. As long as you are loyal to your employees, they will be loyal to you. When an organization is doing well, it’s common to see the media congratulate those in charge — but you shouldn’t let your company successes go to your head. It might have been your strong leadership that created the positive change, but ultimately it was your employees’ hard work that got you where you are. Instead of accepting all the credit for yourself, you should show employee appreciation by thanking and rewarding the teams responsible for the victory. On the other hand, when (not if) failures occur, it’s best to observe them fairly and objectively. 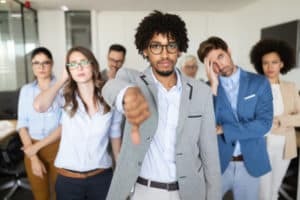 While you might not want to accept any blame, it might be that your poor leadership — and inability to appreciate your workforce effectively — was what created the opportunity for problems to occur. Of course, you should penalize any bad actors if they exist, but most often you should reevaluate your leadership strategies first. You’re the business leader, the head honcho, the person in charge — but that doesn’t mean you don’t need to listen to the people around you. Many leaders develop a bad habit of talking and talking and talking — in meetings, in hallways, in offices, in cubes, anywhere and everywhere. Because you are at the top of your organization, you might think you have more important things to say than anyone else, but you’d be wrong. As your business grows, you will lose touch with the ground-floor operations, which means you need to rely on those working for you to guide procedures and practices. In fact, when given the opportunity to hear others, you should be as quiet as possible to soak up what they have to say. 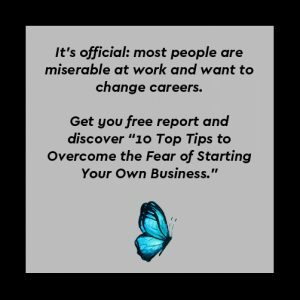 While you might have read about many of the previous issues before, this is a new one to many business leaders. The fact is that leaders who fail to embrace the differences within their staff — and within other people in general — also tend to minimize the value of their staff. People with different backgrounds can bring in new perspectives and ideas, which is important in a marketplace that is constantly seeing significant shake-ups due to improvement and change. If you see the same kind of faces around your conference table, you might consider seeking a bit more diversity in your team. Employees don’t need much to be kept content and committed, but an important thing to give them is your time and attention. You need to value the work your employees do for you, and you also need to show how you value your staff. If you are guilty of any of the above behaviors, it’s time to change — for the sake of your business.